Alexander String Quartet performs the final three concerts in the Slee Beethoven series. Based in San Francisco, the veteran ensemble is coming to town for the last three concerts in this season’s Slee Beethoven Quartet series. Two of the concerts are at UB, but the middle concert, in a picturesque change of pace, will take place at the beautiful Buffalo Suzuki Strings school in North Tonawanda. 7:30 p.m. Friday: At Lippes Concert Hall in Slee Hall on UB’s Amherst Campus, the quartet plays the quartets Op. 95; Op. 18 No. 6; and Op. 132. 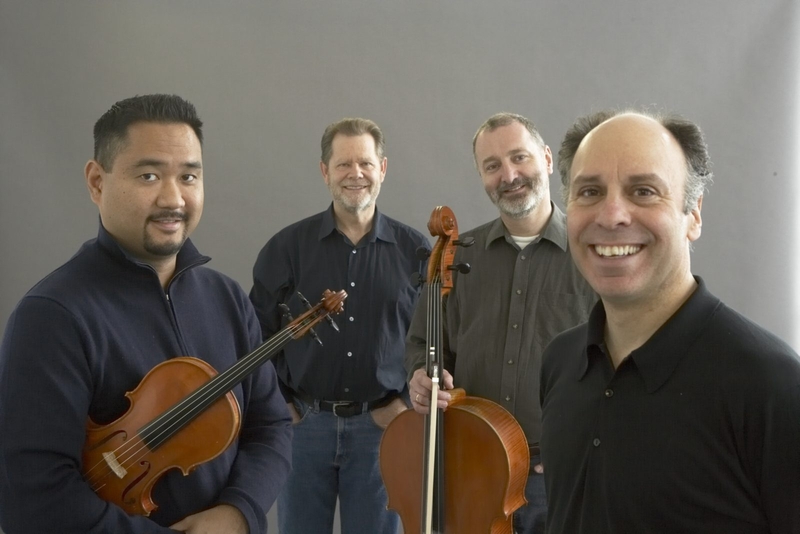 3 p.m. Saturday: At Buffalo Suzuki Strings (4 Webster St., North Tonawanda), the concert comprises the quartets Op. 18 No. 5; and Op. 130. Admission in advance is $12 for adults, $9 for seniors and faculty/staff/alumni, and $5 for students. At the door, tickets are $20, $15 for seniors and faculty/staff/alumni and $8 for students. For tickets or information, call 645-2921.